Instagram – a world of beautiful imagery, inspiring quotes and loads of hashtags! Our blog will help you set up an Instagram account for your school and understand how to use it effectively for the best chance of marketing success. Instagram is a social photo-sharing app that can be accessed on your mobile phone, tablet or desktop computer. It’s a great way to humanise your school, show off what makes you unique and share details of special events and your school Open Days. When thinking about the social media channels you should use to promote your school’s brand and activities, Instagram should definitely feature on your list. The power of engaging with people across all social media channels is a case of the ‘whole being greater than the sum of its parts’. So, by combining Instagram, Twitter, Facebook and Linkedin as part of your school marketing strategy, you can reach out to a wide audience, engage in very different ways and, importantly, attract the right type of talent to join your school. It’s reasonably simple to set up an account on Instagram. Before you begin though, it’s worth planning how you can use the channel effectively, rather than just posting sporadic content without thinking of how your target audience might engage with it. Think about who you’re trying to reach and how you’d like them to perceive your school. Then, critically, think about what action you’d like them to take, if any. If using Instagram to promote your brand, then regular updates with no calls to action are a great start. However, if you’re keen to engage actively with your audience, then consider how to make posts interesting or inspiring, rich in imagery and content, so people will want to share and talk about them to their fellow Instagrammers. The first step to setting up your Instagram account is to complete the information fields. Enter your email address, create a username* and password or click ‘Log in with Facebook’ to sign up with your school’s Facebook account. *We recommend you use the shortest version of your school name to make it easy for people to search and remember your Instagram account. Confirm your email address and you’re ready for Step 2! Then, as above, complete your details to set up your account. Once the account is set up, it’s now time to personalise the account to your school. Build your account profile page by uploading your school logo, adding a short biography and including a link to your school’s website. Now you can start to share your photos on Instagram! Remember that you can only upload images from your smartphone or tablet. Don’t forget to add relevant #hashtags to your images, so that they can be easily found. Always include the hashtag of your school name. Hashtags group topics and themes so people can search for these to find all relevant posts relating to that theme. This is referred to as ‘trending’ and reflects the popularity of hot topics. You can choose to follow other schools in your local area, industry leaders, inspirational people and charities and businesses who are relevant to your school’s ethos and values. Usual data protection and safeguarding rules apply – make sure you get permission to use the images and never post the full student name alongside an image. The rest is up to you: filters, gifs, Instagram stories – it’s time to get posting! If you need any help setting up your account, we can help! 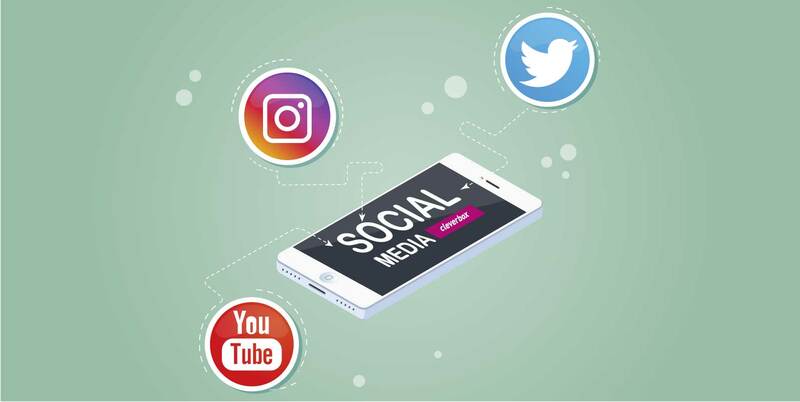 We offer customers a one off set up package, or ongoing management across all your social media channels to save you time and make sure your social media strategy is set up for success. If you’d like to find out more, give us a call on 0208 466 7222 or email [email protected]. Not convinced of the benefits of Instagram for schools or what social media can bring to your school? Find out about the importance of online visibility in our blog post How Social Media can make your school more visible.